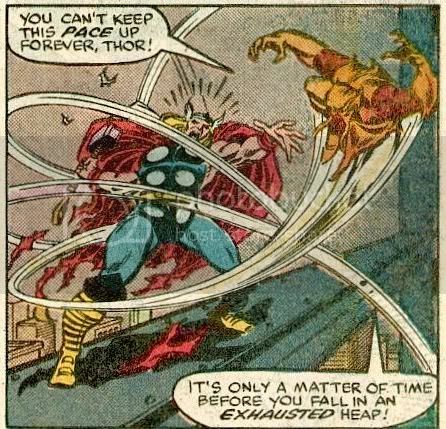 Thor dodging Moongooose who people think Thor can't handle with his speed. 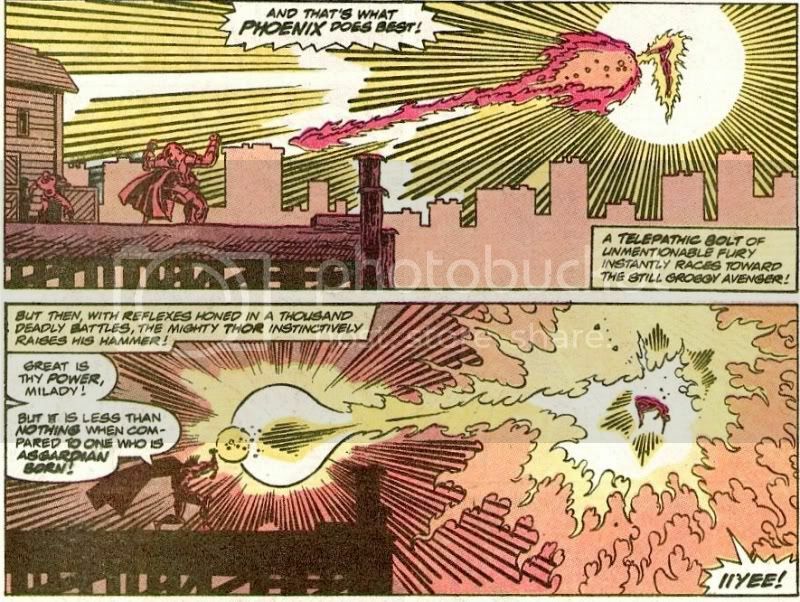 His relfexes are so fast he can stop a telepathic bolt from the phoenix and sendin back!!!! 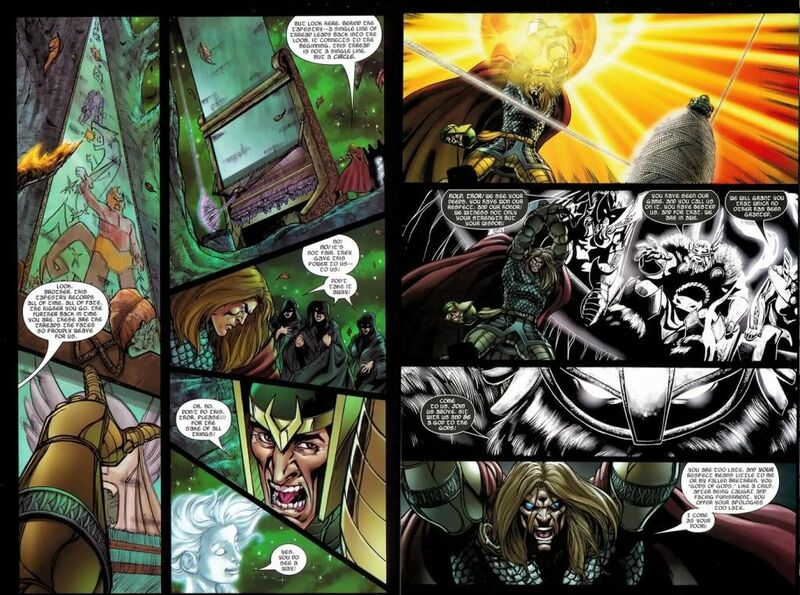 Thor:"i have vanquished fleeter foes"
You keeping the King Thor scans out of here for now too, ODG? 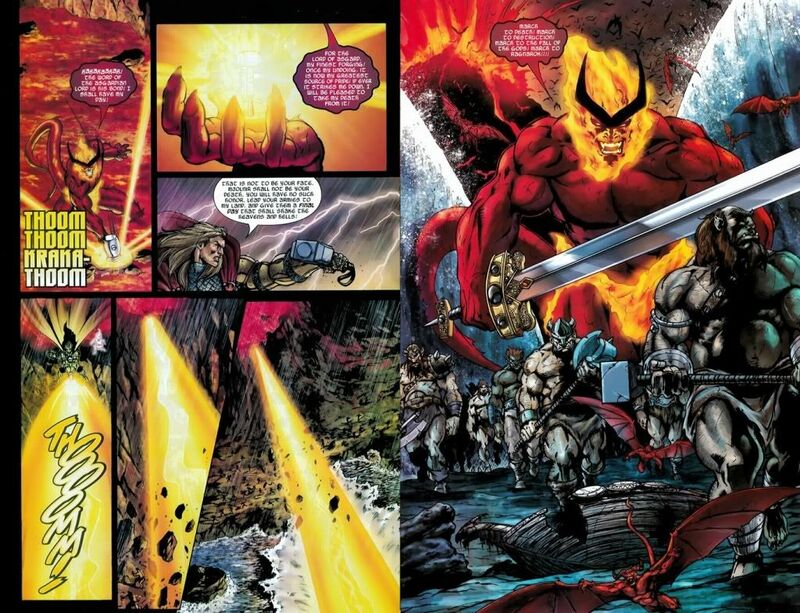 Because as I'm sure you know, he's got some very impressive feats at that 'level'. 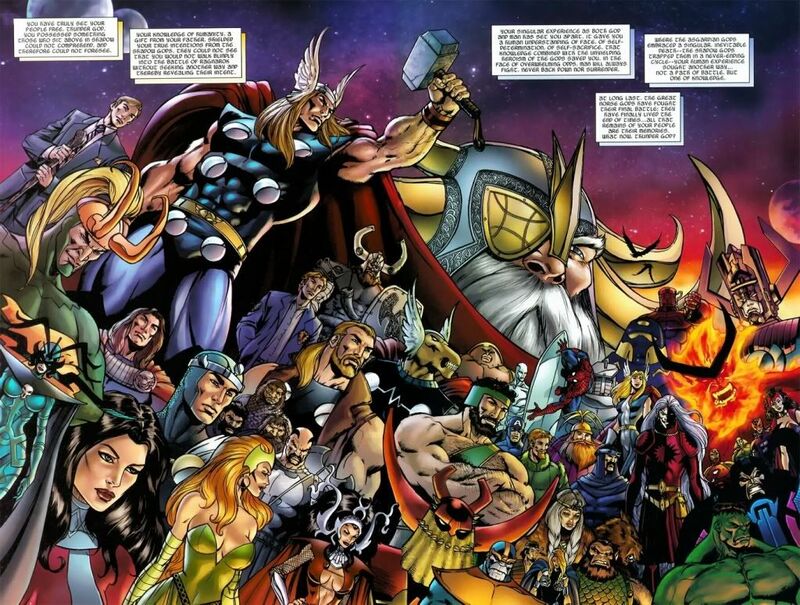 ^ Yes, I am also keeping King Thor, along with any alternate reality versions of Thor, out of this for now. I may choose to open it up in the future. Who exactly are "Those Who Sit Above In Shadow"? 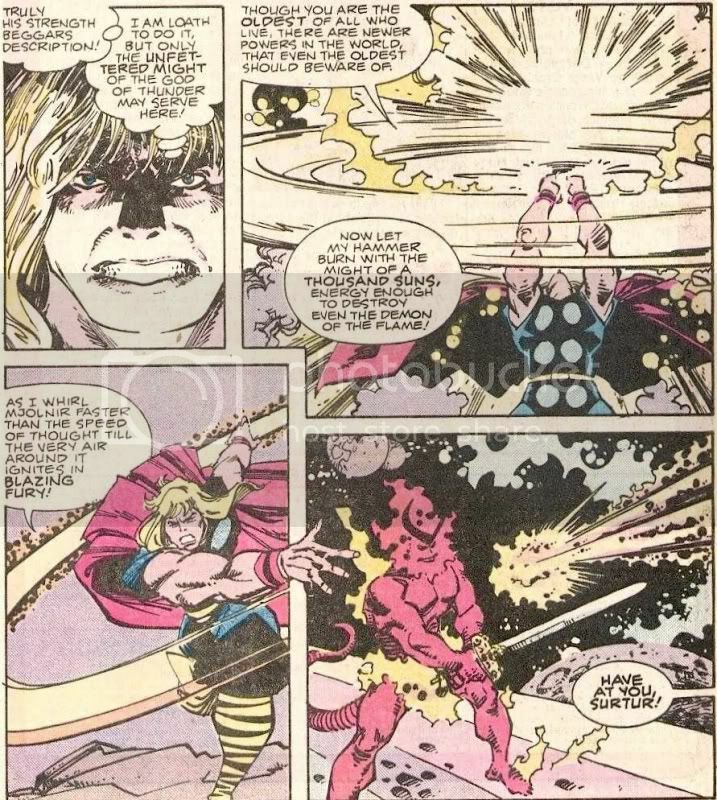 My memory is a little fuzzy, but when Thor cut the strings that held the Ragnarok cycle together, or something like that, Those guys were sitting there and they were all like "Dude, Thor, don't break it, brah. You can be one of us and watch!" 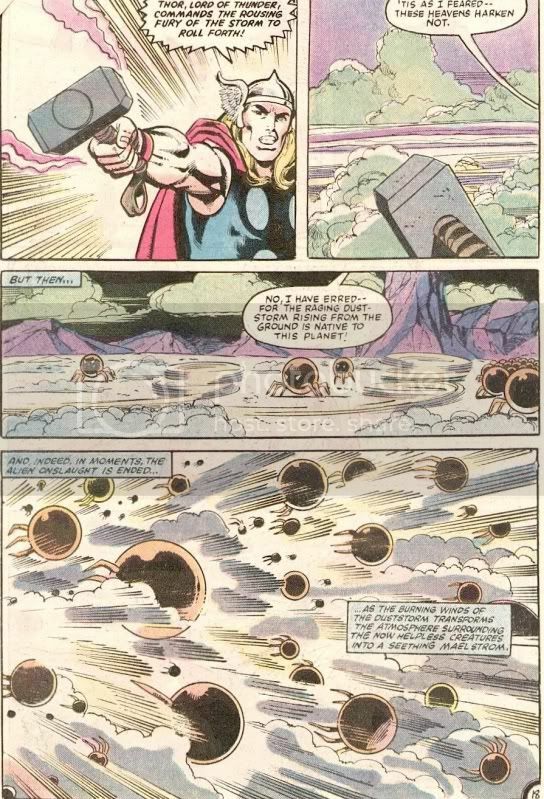 and Thor was all like "Nah, man. If our sacrifice ain't permanent then it don't mean nothin'." 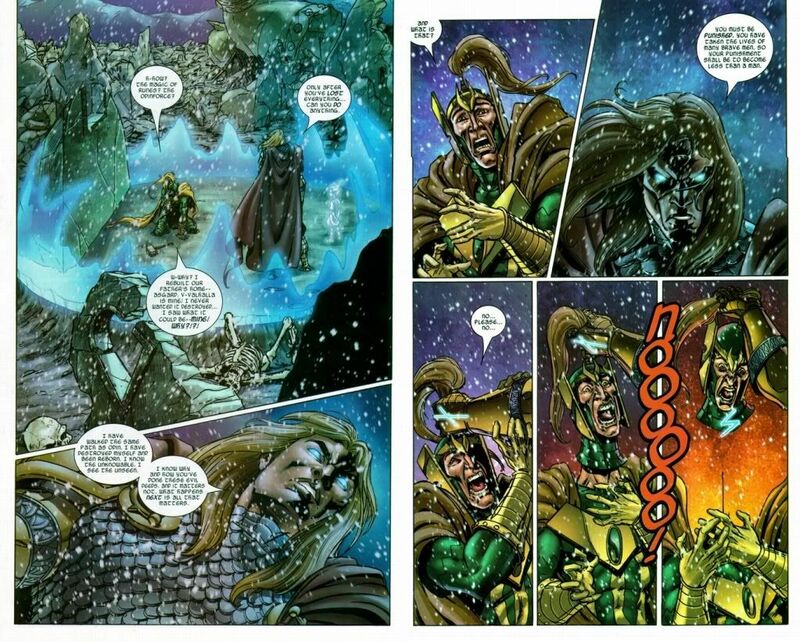 As part of Avengers Disassembled, Ragnarok, the end of the world foretold in Norse myth, is once again unleashed upon Asgard. 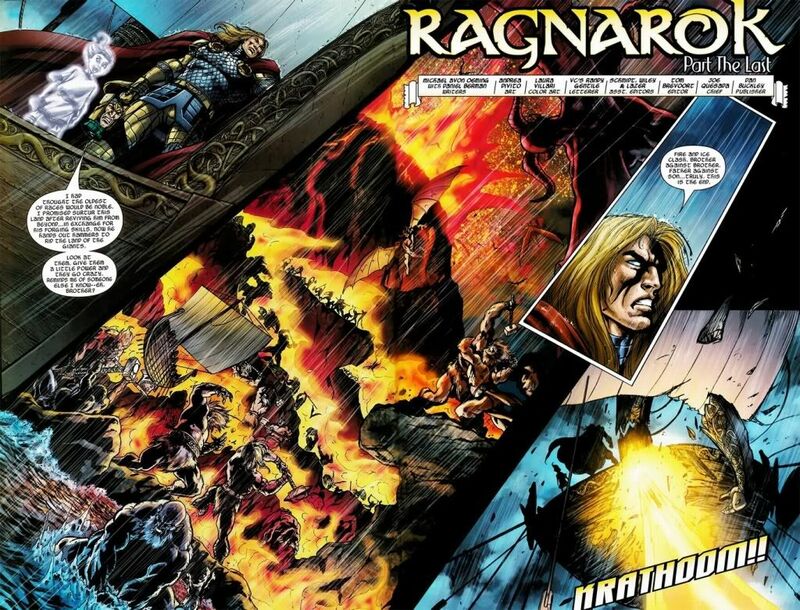 Guided by the Odinpower incarnated as an orphaned boy, Thor learns that Ragnarok is a cosmic cycle which generates life energy for the Old Gods, Those Who Sit Above In Shadow. Each cycle reduces the worth and glory of those who live through them. what exactly is this scan saying? 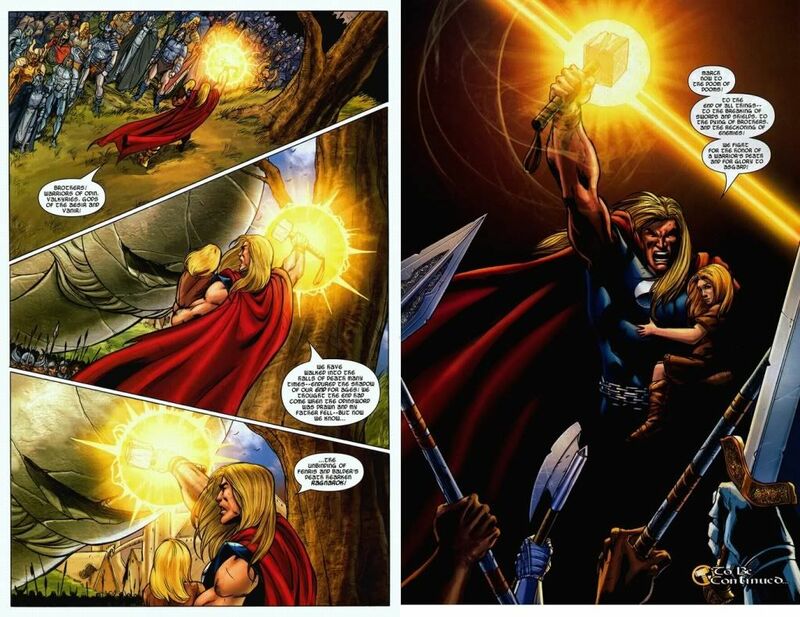 Its basically states that Thor was able to save his people because of the humanity his father gave him. 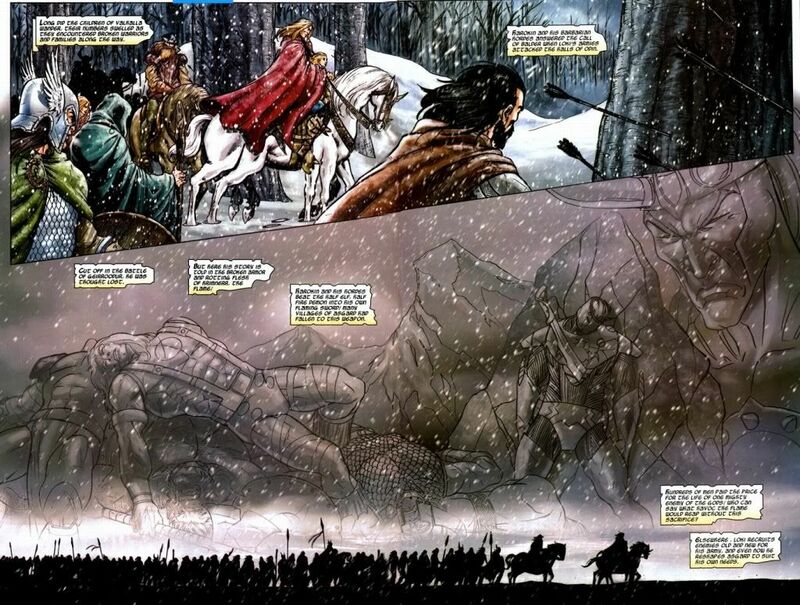 He basically was a god who had mans determination to fight against his fate. 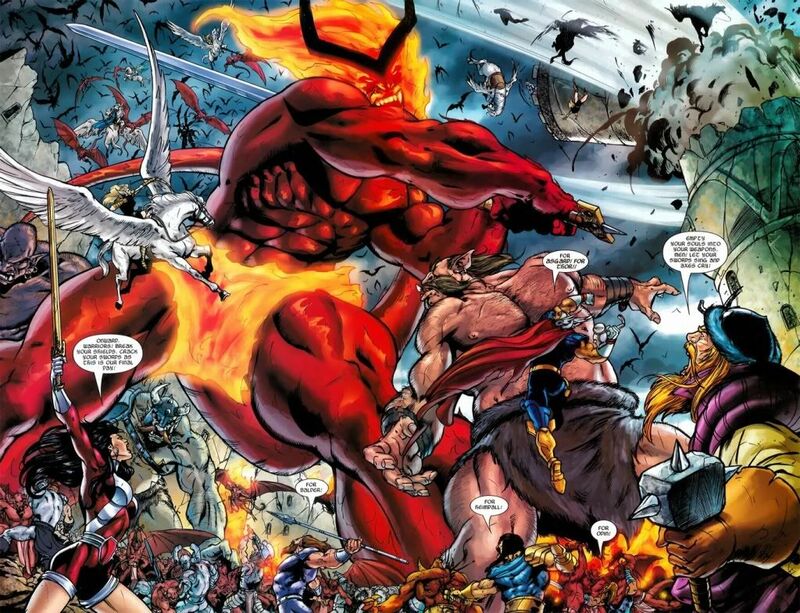 Most Gods tend to just adhere to their natures and submit to fate. 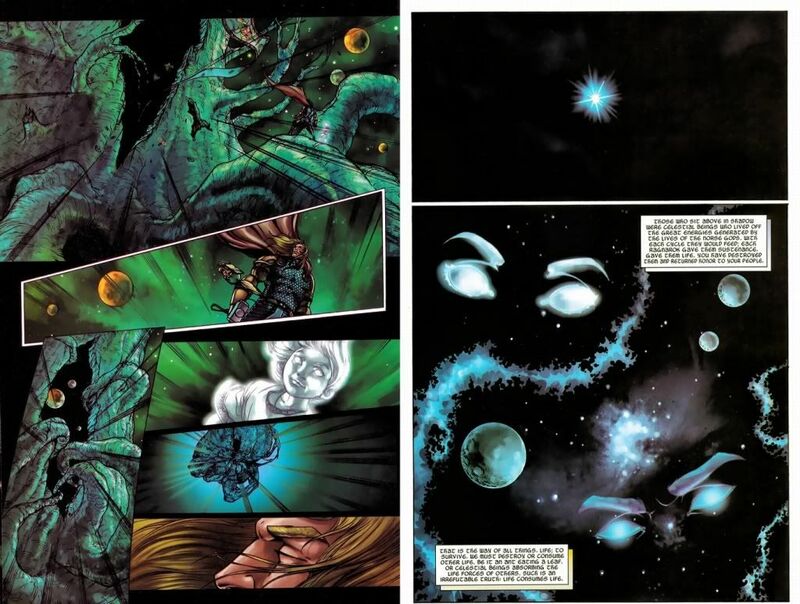 Thor fought against his and was able to see the working of "Those who sit above in shadow" where other gods could not. but who exactly are "those who sit above in shadow"? where did they come from? 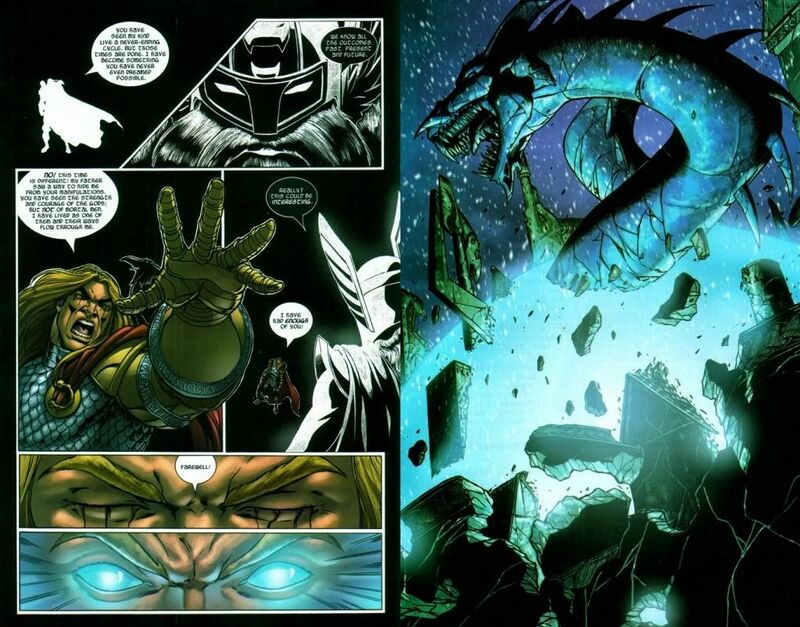 They're parasitic elder gods who have presumably be around as long as Asgard itself. 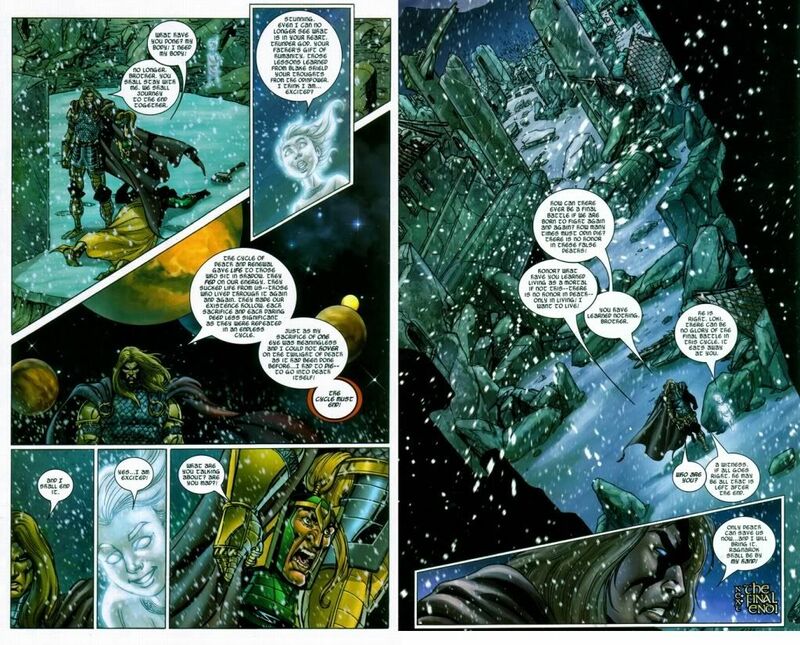 They were mentioned and shown in a couple of old issues of X-Factor, iirc, as Loki had dealings with them. 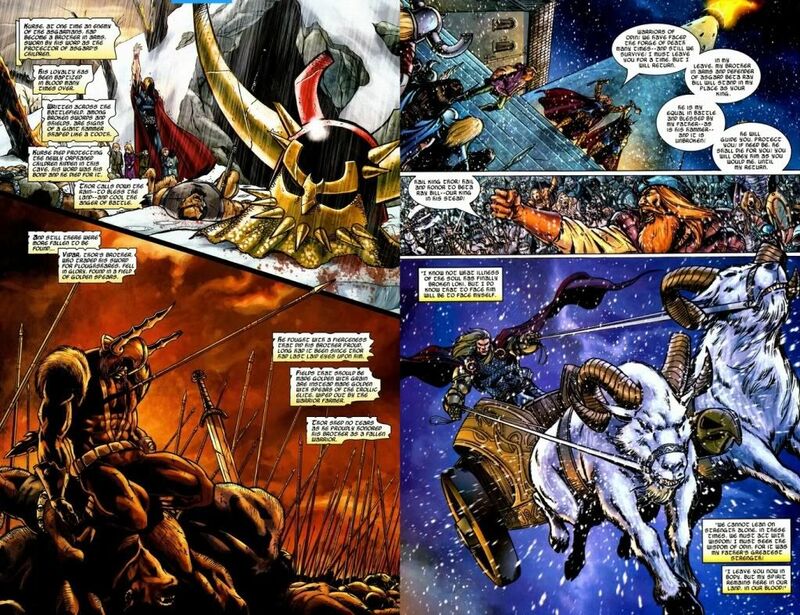 Aside from those issues and the Ragnarok arc in the previous Thor volume, not much has been said or shown about them. 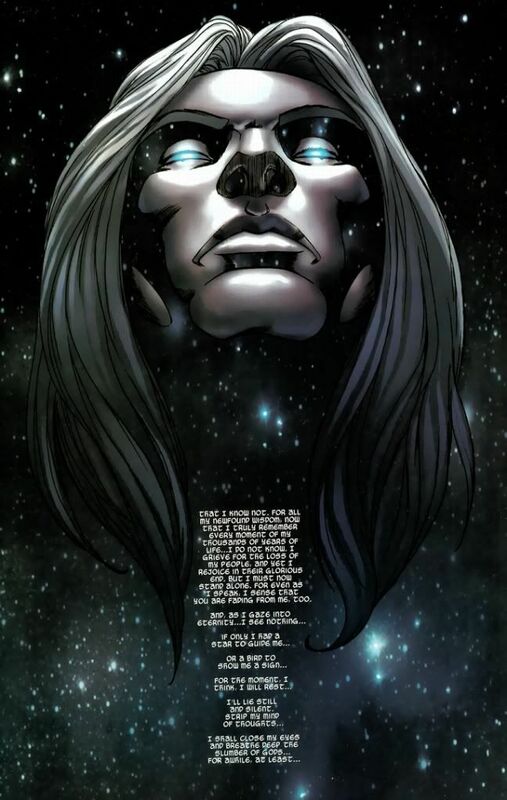 Nobody knows where they came from -- whether they preceded the Asgardians or latched onto them and adjusted their own forms -- but they essentially are the Gods of the Asgardian Gods. 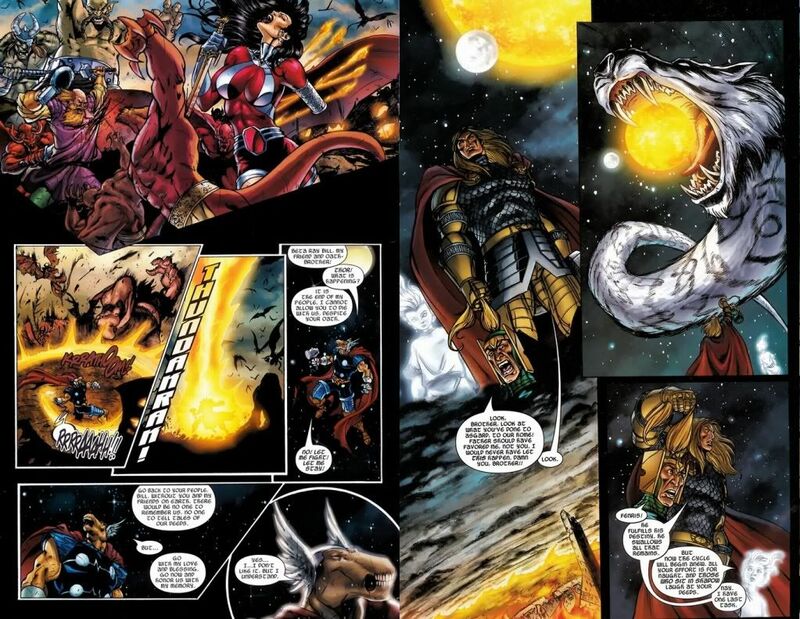 (please log in to view the image) Nobody knows where they came from -- whether they preceded the Asgardians or latched onto them and adjusted their own forms -- but they essentially are the Gods of the Asgardian Gods. Yeah, my mistake. I remembered it was an X-title of some kind. 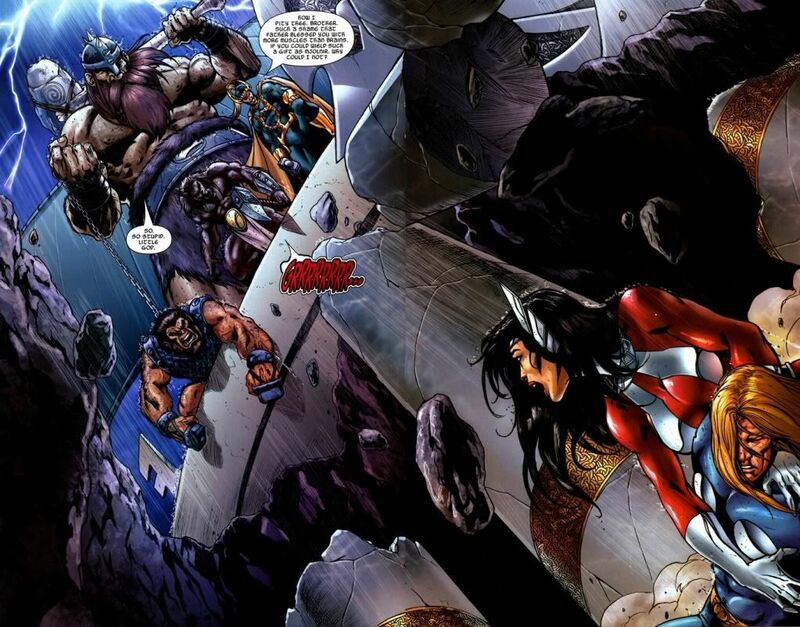 I'd personally would have liked to see and hear more about them before Thor decided to end their petty existence. 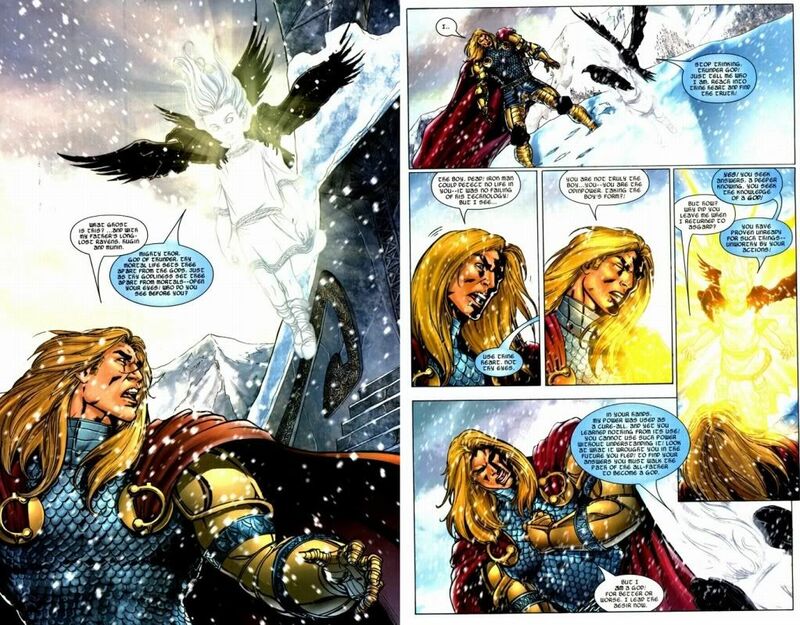 Say what you will about it, but let me make this clear: this is not meant to be disrespect to Thor. 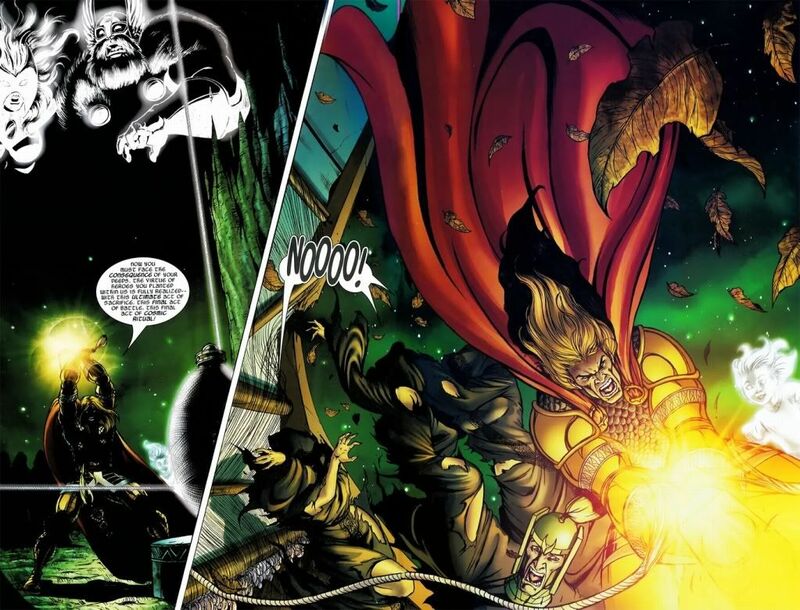 I always intended to post every single fight that Thor had with the Hulk because their rivalry is legendary. And this is one of them. 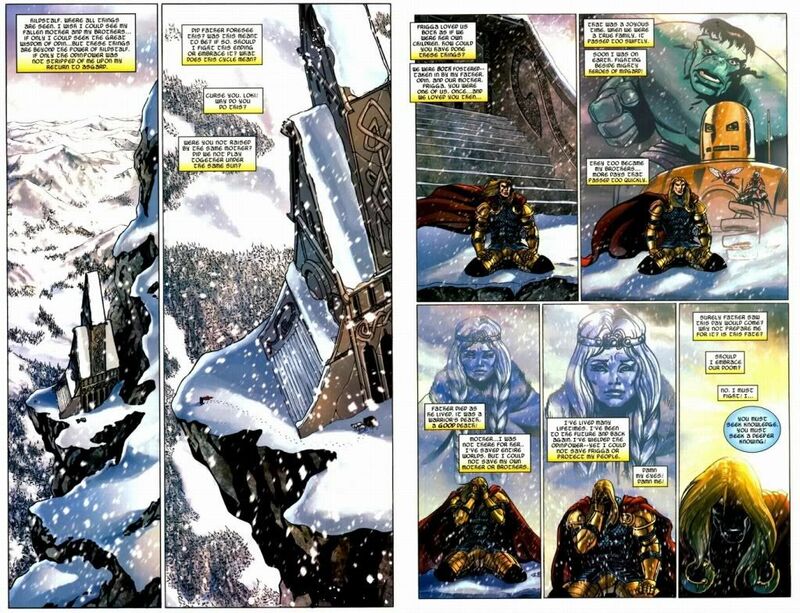 Bottom-line: Thor fans should feel confident that the door swings both ways... just not this time. I think we're all eager to see a rematch.